Obituary for Edward L. Reuss | Seamon-Wilsey Funeral Home, Inc.
POUGHKEEPSIE…. 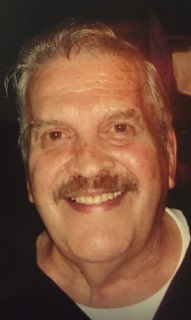 Edward L. Reuss, 87, of Biscayne Boulevard, died Monday, September 10, 2018, at the Kingston Hospital. Born July 12, 1931, in Fall River, Massachusetts, he was the son of the late Edward and Maria (Rochon) Reuss. Ed was employed for many years by, and retired from, the NYC Water Department in the Bronx. He was a member of NYCERS Local. An avid Red Sox fan, he loved country music, sports and traveling. Ed’s greatest joy was spending time with family, especially his grandchildren, Jonathan, Victoria and Alexandra as well as his “grand dog”, Jax. Ed was known by many for his sense of humor and kind spirit. He is survived by his wife, Terri, with whom he recently celebrated his 62nd Wedding Anniversary. Other survivors include his two sons: Edward and his wife, Brenda (Budik) of Saugerties and John and his wife, Sandra (Glowacki) of Cape Coral, Florida; three grandchildren of Cape Coral as well as several nieces, nephews, cousins and friends. He was predeceased by two sisters, Alice Massillo and Edna Tavares. Friends will be received Friday 7 to 9 p.m. at Seamon-Wilsey Funeral Home, Inc., corners of John & Lafayette Streets, Saugerties. His funeral procession will form 9:15 a.m. Saturday at the funeral home, thence to St. Mary of the Snow where a Mass of Christian Burial will be celebrated at 10 a.m. In lieu of flowers, the family suggests that donations be made in his memory to St. Jude’s Children’s Hospital. Expressions of condolence may be shared with the family on Ed’s Tribute Wall at www.SeamonWilseyFuneralHome.com.